Project Management is an exciting, expanding, lucrative field that is changing how organizations function across all sectors of the economy. Project Management takes a systematic approach to organizational goals and obstacles, designing programs, managing the resources and personnel that run them, and analyzing their results. According to the Project Management Institute (PMI), “15.7 million new project management roles will be added globally across seven project-intensive industries by 2020.” PMI is the world’s largest project management member association, with more than 600,000 practitioners from over 185 countries. Graduates of MBA’s in Project Management will leave with the skills a traditional MBA conveys, and so much more. Project Management coursework builds skills that lead to designing, creating and executing efficient, multifaceted projects in a number of settings.. PMI research further indicates that “every year, the skills shortage will open an estimated 1.57 million jobs across the globe for workers new to project management.” A Project Management MBA is a great option to bolster your project management education, and earn a credential that opens up myriad job opportunities within the field. The median salary for a Project Management Manager is estimated at $130,000 in 2018, with a common range of $116,000-$146,000, according to Salary.com. However, earning your Project Management MBA can be expensive, sometimes prohibitively so. That’s why we’ve decided to rank the best Project Management MBA’s by affordability. 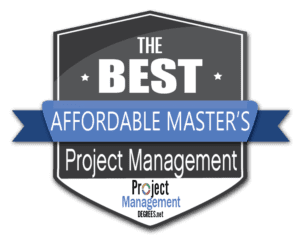 With this list, you’ll be able to quickly sort through the different Project Management MBA options based on what you can actual afford to complete. Project Management MBA holders take on multifaceted problems by gathering resources, budgeting, supervising and motivating teammates, peers and employees, measuring the results and changing them, all on a deadline and while achieving the desired results. However, we believe the problem of finding an MBA in Project Management isn’t one you should tackle on your own. That’s why we’ve ranked Project Management MBA degrees based on their national prestige, academic rankings, special features, time to completion, online delivery, affordability and much more. An MBA in Project Management combines a PM education with a traditional MBA program, preparing graduates to work in far more management and leadership positions than either an MBA or Project Management Master’s alone would. 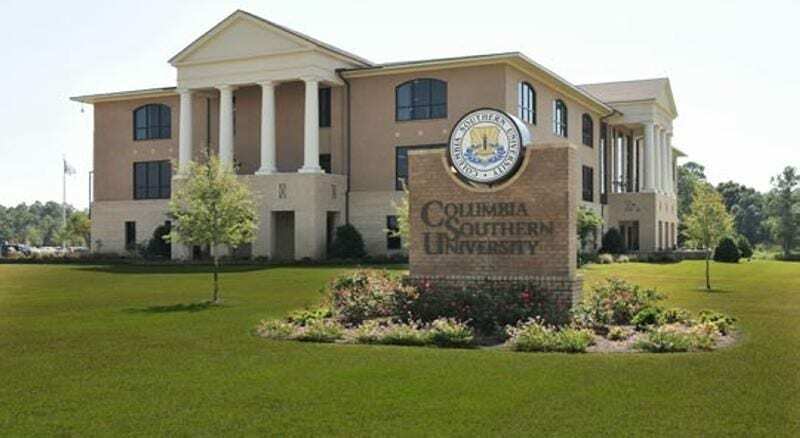 Columbia Southern University is a for-profit university specializing in distance education. The school is headquartered in Orange Beach, Alabama. Over 21,000 students attend CSU, which has a 70:1 student-to-faculty ratio. Columbia Southern has been accredited by the Distance Education Accreditation Commission (DEAC). CSU has been approved to offer up-front tuition assistance through the U.S. Army’s centralized tuition assistance portal, GoArmyEd. Columbia Souther University offers 26 degrees at the associate, bachelor, and master levels, as well as 21 certificate programs, all online. CSU is renowned for its open enrollment and low tuition. CSU offers an online MBA that comes in several concentrations. These include General, Finance, Health Care Management, Human Resource Management, Marketing, Public Administration and Project Management. Students will learn how international factors alter business, theories and methods that impact employee motivation and morale, analyze management techniques, and much more. This program can be completed in 3 years according to the school. The Project Management concentration emphasizes motivation, the creation and completion of complex projects, and teaches students how to achieve cost-effective results at all costs. Sample courses include Managing Complex Projects, Managing Project Teams and Project Management Strategy & Tactics. CSU is a Registered Education Provider (REP) in project management by the Project Management Institute. p>Grantham is a for-profit university headquartered in Lenaxa, Kansas. It was founded in 1951, the school has over 8,600 students (21:1 student-to-faculty ratio), many of which attend entirely via online classes. 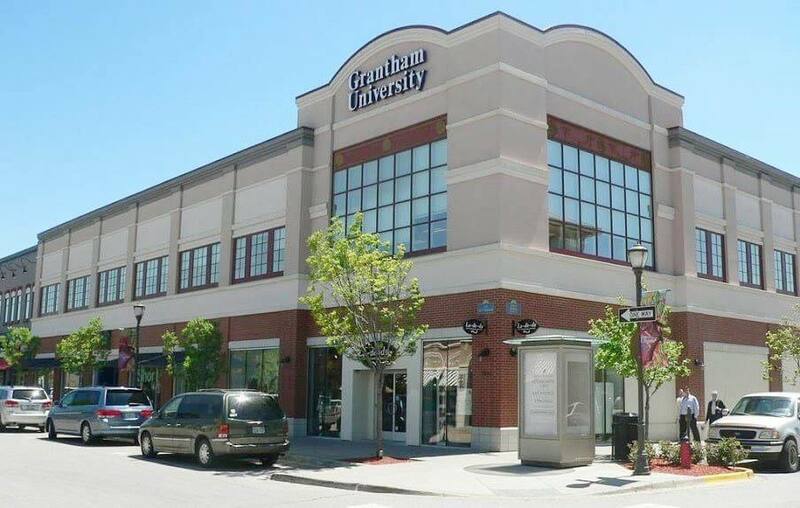 In total, Grantham offers over 40 accredited online certificates and degrees through its Business school, and Colleges of Engineering and Computer Science, Arts and Sciences, and Nursing & Allied Health. In 2006, eLearning World University Rankings ranked Grantham University 13th out of 27 American online colleges. Grantham has also been ranked highly as school for veterans and active military members. In 2015, Grantham received accreditation for its business programs through the International Assembly for Collegiate Business Education (IACBE). Grantham offers an online Project Management MBA program. It requires 37 credit hours. The program can be completed in two years, or less depending on the amount of applicable transfer credits prospective students hold, and the number of classes they’re able to take each semester. Courses for this program begin monthly. Grantham has been approved as a Registered Educational Provider of the Project Management Institute (PMI). Students will be immersed in strategic analysis, planning, business models and practical exercises as they earn their degree and prepare for certification as a Project Management Professional. Potential careers for graduates of this program include technical services manager, program manager, and lead project manager. ULL is a public research university. It was established in 1898 in Lafayette, Louisiana. ULL has been cited by the Carnegie Foundation as a R2 institution (“Doctoral University: Higher Research Activity”). Over 17,500 students attend the school, which has a 22:1 student-to-faculty ratio. ULL offers over 80 undergraduate degree programs, 26 master’s degree programs, and 9 Doctor of Philosophy programs. Its programming comes in areas like business, applied language and speech sciences, biology, computer engineering, computer science, educational leadership, English, mathematics, systems engineering, and more. ULL has been ranked 24th by U.S. News & World Report on a list of “Universities and Colleges Where Students Are Eager to Enroll.” It was also ranked among the Best Business Schools in 2018 by The Princeton Review. ULL offers an online MBA with a concentration in Project Management. Students will take graduate business classed then move on to Project Management topics like operational planning, project execution and best scheduling practices. This program can be completed entirely online, and through accelerated, 8-week courses. Students will build skills and knowledge in resource allocation, budgeting, leadership, performance measurement and much more. Core courses include International Business, Data Analysis, Policy Formulation, Strategy and Administration, Managerial Economics and more. There are five start dates each year for this program, which requires 33 credit hours and can be completed in as few as 15 months. 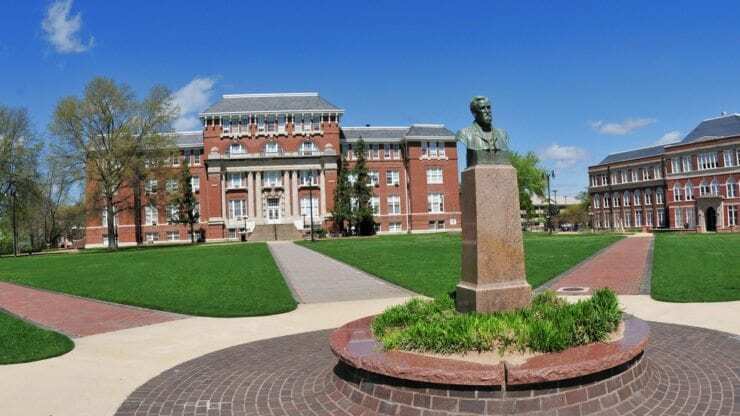 UNA is a public university headquartered in Florence, Alabama. It was founded in 1830. USNR has ranked it as a top-tier public university. UNA offers graduate degrees in business administration, criminal justice, English health, education and more. Over 7,300 students attend UNA, which has a 20:1 student-to-faculty ratio. It also is known for its emphasis on international student enrollment. In total, UNA’s international students make up approximately 10% of its student body. It’s also known for its selective admissions, with just over half of applicants being accepted. UNA offers an online MBA with a Project Management Concentration. Students will be prepared for exams like the Project Management Institute (PMI) Certified Associate in Project Management (CAPM) certification exam and the Project Management Professional (PMP) certification exam. Both of these are extremely demanded credentials that will help you go forward with your career as a Project Manager. Sample courses include Global Business, Management Policy, Leadership and Team Building, Cases in Applied Project Management and more. UNA also offers a graduate certificate in Project Management. Their project management programming emphasizes preparing students by the standards of the Project Management Institute and immersing students in its Project Management Body of Knowledge. Doane is a private liberal arts college headquartered in Crete, Nebraska. It was founded in 1872, and also has campuses in Lincoln, Grand Island and Omaha. Done serves over 1,000 students, and offers an 11:1 student-to-faculty ratio. The school offers over 40 undergraduate majors, pre-professional programs, three graduate programs, and a Doctorate in Education. Doane has been ranked among The Princeton Review’s “Best Midwestern Colleges,” has been called a “hidden treasure” by Kaplan/Newsweek College Catalog and has multiple appearances on USNR’s, “Great School at a Great Price” rankings. Doane offers an online MBA with emphasis areas in Human Resource Management, Healthcare Administration, Nonprofit and Public Administration, Supply Chain Management, Data Analytics, a create your own emphasis area, and Project Management. All emphasis areas take students in-depth into technical business management, operational and strategic perspectives, and builds students critical decision-making skills. This program can be finished in as little as 18 months. Courses are eight weeks long, and terms begin five times each year. There are 33 credits required to complete the program. Up to nine credit hours can be transferred in. Doane’s MBA program partners with institutions like MIT through their MicroMasters programs, allowing students to get MIT-quality courses through Doane. Saint Leo University is a private, non-profit university in St. Leo, Florida. The university was established in 1889 as a Roman Catholic affiliated school. 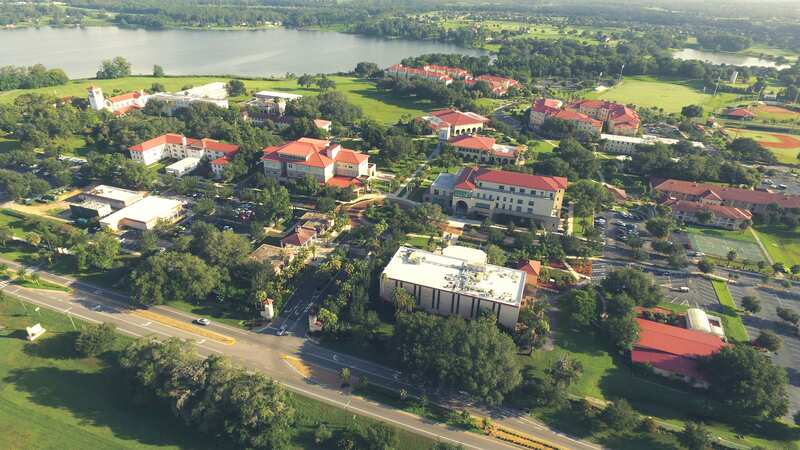 Today, Saint Leo is one of the five largest Catholic colleges in the United States, with a student population of 14,649, and a student-to-faculty ratio of 16:1. Saint Leo was one of the first American institutions to provide distance learning opportunities, as they offered courses for military men and women in the armed forces during the Vietnam era. The university still maintains its relationship with the armed services, providing education to active military members and veterans. In 2017, the school was named a Best Regional University–South and Best Value University–South by U.S. News & World Report. It also ranked on U.S. News & World Report’s list of 2017 Best Online Bachelor’s Programs and Best Online Bachelor’s Programs for Veterans. Saint Leo offers an online Project Management MBA. The program is motivated by helping students fill the current and growing demand for project managers in fields like telecommunications, entertainment, the military, healthcare and more. Students will learn how to create, supervise and take leadership roles in the running of complex projects for a number of organizations and corporations. In order to do so, they’ll study and apply best practices in selecting, initiating, planning, executing, monitoring/controlling, and closing projects. Students will learn with hands-on team exercises and current industry software. This program is accredited by the Accreditation Council for Business Schools & Programs (ACBSP) and the International Assembly for Collegiate Business Education (IACBE). It requires 36 total credit hours. Liberty is a private, non-profit Christian doctoral research university based out of Lynchburg, Virginia. 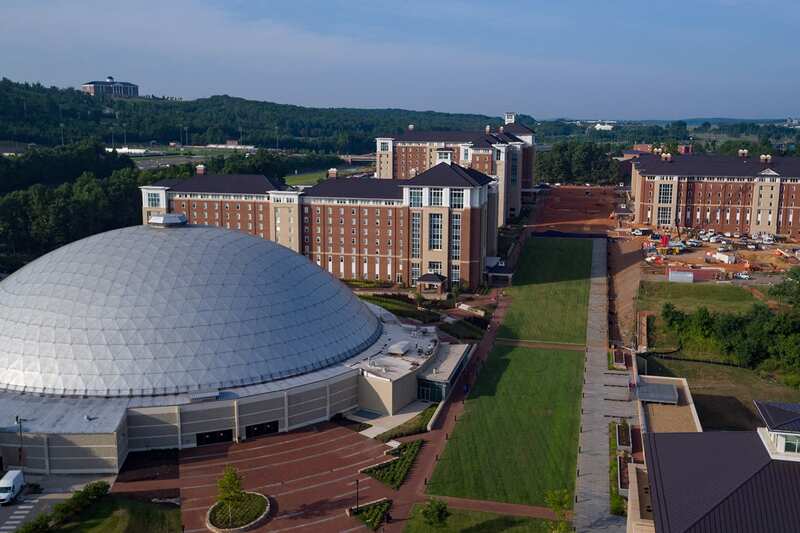 The school was founded in 1971 by religious leader Jerry Falwell. It now serves over 75,000 students worldwide. Liberty offers 290 bachelors, 315 masters, and 32 doctoral degrees through 17 distinct colleges. Over 85% of Liberty students take classes online. It has been classified as a doctoral research university by the Carnegie Classification. According to LU, it’s the nation’s largest nonprofit online university, and has pioneered distance learning since 1985. There are over 300 different degrees and certifications offered through Liberty’s online wing. 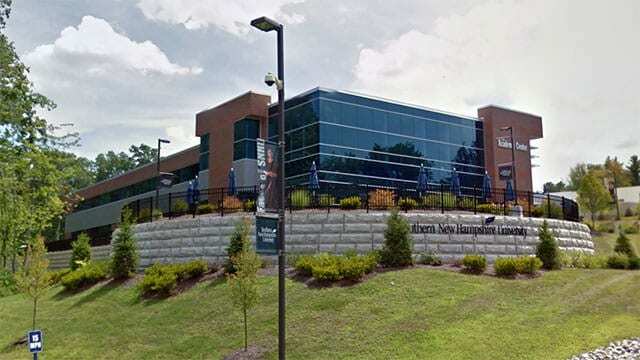 Liberty’s online programs were ranked 5th on BestColleges.com’s “Top 50 Online Colleges of 2018.” It has consistently been ranked highly for its Online Bachelor’s Programs, MBA program and other graduate business programs, graduate Criminal Justice programs, graduate Education programs and graduate Nursing programs. Liberty offers an MBA in Project Management, which can be completed entirely online. It requires 45 credit hours. The program gives students an in-depth education in the marketing and managing principles used in today’s national and global markets. Students will build significant skills in time management, client management and quality control. Up to 50% of the program’s credits can be transferred in, which includes applicable credits and life experience credits as well. Potential careers after graduating this program include working in marketing, working as a Project Scheduler, and of course as a Project Manager. CCU is a private, interdenominational Christian university based in Lakewood, Colorado. It was founded in 1914. CCU currently serves over 7,000 students and offers a 16:1 student-to-faculty ratio. The school is made up of a College of Undergraduate Studies and College of Adult and Graduate Studies. It offers over 100 degree programs and licensure and certification programs through those colleges. The American Council of Trustees and Alumni gave CCU an “A” grade for many consecutive years. That grade was given after CCU was compared to 1,070 universities and measured for its strengths in composition, literature, foreign language, American history, economics, mathematics and science. CCU offers an online MBA in Project Management. It focuses on the risks involved in managing the personnel, property, and financial resources of a large project. While that sounds cut-and-dry, graduates will also gain an ethical and practical understanding of the responsibilities of project management. Throughout the program there will be scriptural considerations reflecting CCU’s Christian identity. Students will build strategic thinking skills, effective tools, teamwork optimization and risk management while conceiving, creating and executing complex projects. It can be completed in less than two years of full-time study, and requires 39 credit hours to complete it. Project management courses include Fundamentals of Project Management for Business and Strategic Leadership of Project Management in Business. 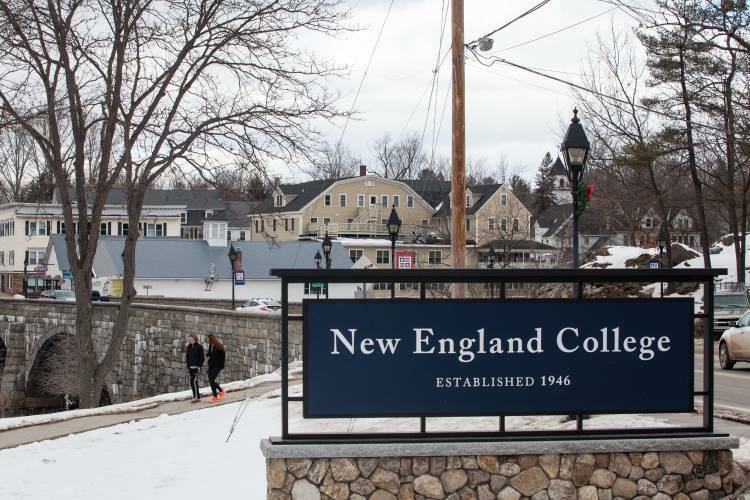 NEC is a private, non-profit college based out of Henniker, New Hampshire. Currently over 2,700 students attend the school, enjoying a 16:1 student-to-faculty ratio. It offers 37 bachelor’s degree programs, 12 master’s degree programs, and one doctoral degree program through schools of Arts & Sciences, Education, Management, and Natural & Social Sciences. USNR ranked New England #146-#187 in its “Regional Universities – North, Tier 2” in 2018. The school puts an emphasis on experiential learning over theoretical. Its business degree programs have earned “Candidate for Accreditation” Status by the Accreditation Council for Business Schools and Programs (ACBSP). NEC offers an MBA in Project Management online. It consists of seven 4-credit core courses and three 4-credit curriculum courses. The program can be finished in 20 months. Core courses include Managerial Accounting, Finance for Leaders, Strategic Marketing and more, all building towards a Capstone project. The Project Management curriculum includes Quality Analysis for Technology and Supply Chain Management. The program’s main goal is helping students figure out how to add value to whatever organization they work for, given complex, evolving problems and economic circumstances. The program covers topics like long and short-term business decisions, supply chain management, contract management, and quality analysis. SNHU is a private, nonprofit New Hampshire university. It was founded in 1932 as a small, regional university. Since then it has achieved tremendous growth. Today, over 73,100 students (30:1 student-to-faculty ratio) attend SNHU, the vast majority through its significant distance education programs (over 60,000 students enrolled). Obviously, SNHU is known for its online programming, and its incredible adaptation to the digital era. It was listed by Fast Company as the 12th most innovative organization in the world, ranking alongside companies like Apple, Google, and HBO, and above NFL, Starbucks, and LinkedIn. SNHU’s accelerated classes give students superb flexibility to complete their degrees. The school is known for its Business, IT and Computer Science programs. SNHU offers an online MBA in Project Management. One of its main draws is its commitment to training students in the technologies used by Fortune 500 companies and other large organizations. Students will focus on planning, supervising, measuring and evolving a project from beginning to end, and beyond. This program be completed in just over a year, which is much faster than most comparable programs. The school is a Registered Education Provider (R.E.P.) of the Project Management Institute (PMI). This program is specifically aimed at people who want to and/or are already working in the construction, IT development, manufacturing and consulting industries. Sample courses include Business Law, Business Environment, Innovations and Entrepreneurship, and Leading in an Organization. FSU offers an MBA with a Project Management specialization. This program is made up of foundational MBA courses (which can be met by past credits and/or experience), a core curriculum of 27 credits (sample classes include Data Analytics, Leading Organizations, Managerial Economics, and much more), and finally build towards 12 credits in Project Management. The Project Management specific courses are Intro to Project Management, Communication and Procurement in Project Management, Tools and Techniques of Project Management, and Project Risk Management. Depending on past degrees, grades and GMAT/GRE scores, students can apply to FSU through either a Degree Seeking or Professional Development status, which further tailors their MBA program towards your needs and goals. MSU is a public, land-grant university that was founded in 1878. It’s headquartered in Oktibbeha County, Mississippi. The Carnegie Foundation has classified MSU as an “R2: Doctoral Universities – Higher Research Activity.“ MSU conveys undergraduate, graduate and doctoral degrees through schools of Agriculture and Life Sciences, Architecture Art and Design, Arts and Sciences, Business, Accountancy, Education, Engineering, Chemical Engineering, and more. The school serves over 21,600 students with a 20:1 student-to-faculty ratio. Between 2002 and 2009, the school raised $462 million through private gifts and pledges, an impressive bounty to improve its programming. 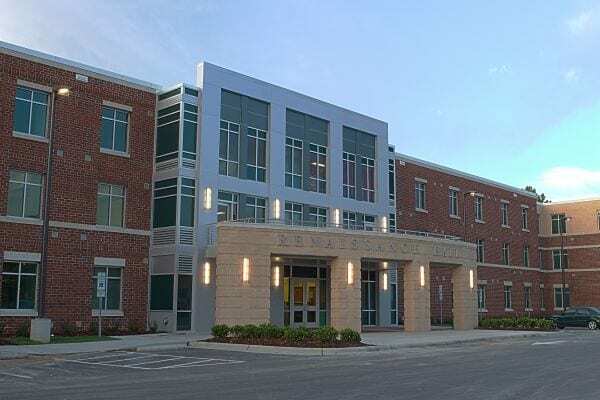 It has received a number of accolades, including ranking 36th in the country by the Social Mobility Index college rankings, and 18th nationally in Forbes magazine’s “America’s Best College Buys,” among many others. MSU offers a distance MBA in Project Management. It requires 36 credit hours, 27 of which are in traditional MBA courses while 9 are specifically related to project management. Sample courses include Process Improvement Engineering, Industrial Quality Control, and Strategic Business Consulting. Make sure to check on prerequisites that are required for this program. Some prerequisites can be taken online, while others can’t, at least through MSU . This program was created specifically to help engineering students and others in technical fields transition into managerial roles in a variety of organizations. Brenau is a private, non-profit university headquartered in Gainesville, Georgia. It was founded in 1878. 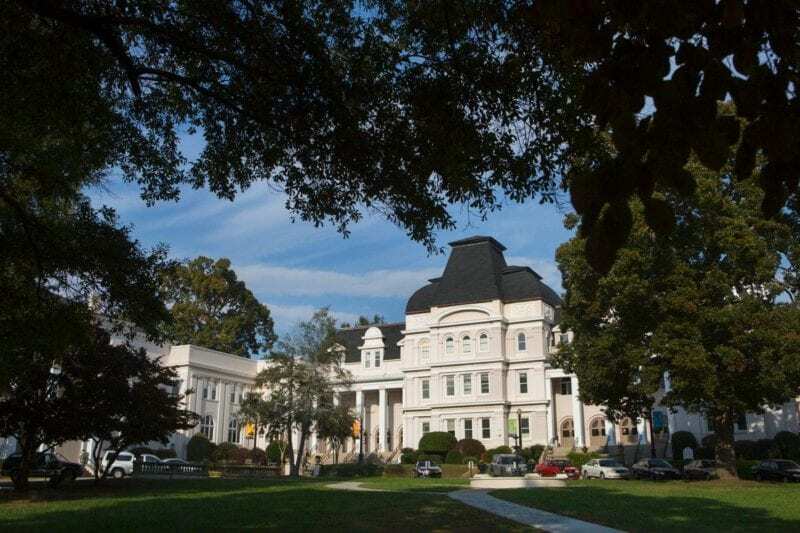 Brenau has multiple campuses (Augusta, and North and South Atlanta – Norcross and Fairburn) and significant online programming. Nearly 2,900 students attend Breanau, which offers a 10:1 student-to-faculty ratio. Brenau offers undergraduate and graduate degrees through four colleges: Fine Arts & Humanities, Health & Science, Business & Mass Communication, and Education. Brenau has been ranked as one of the top 15 best higher education values in the Southeast by USNR many times. 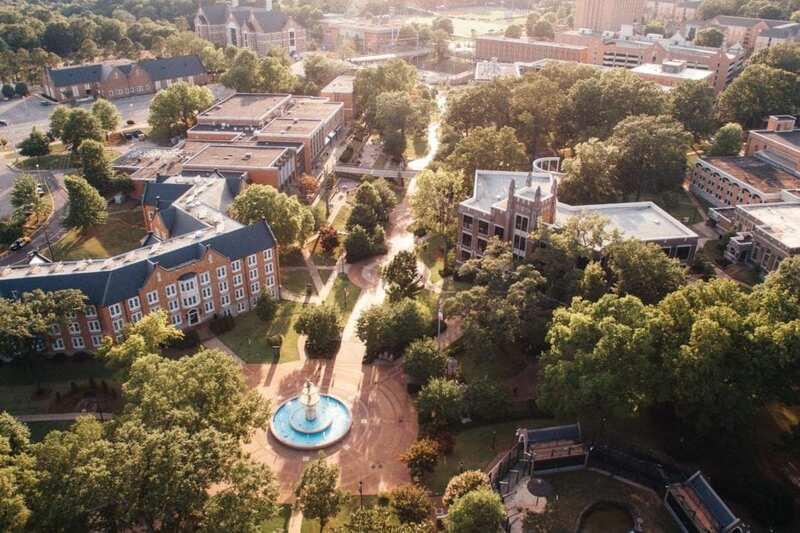 It’s also been called one of the best universities in the Southeast by Princeton Review. Its Online MBA was named a GetEducated.com Best Buy in affordability in 2007. Brenau offers an online MBA in Project Management. It requires 15 courses, 45 credit hours and offers a five-course Project Management-specific curriculum. Project Management courses include Contract Management & Ethics, Leadership of Project Teams, Strategic Issues, among others. This program will teach students to define objectives, develop plans, gather required resources, finish tasks on schedule and within a budget. Core courses include Financial Management, Marketing Management, Global Economics and more which make up the traditional MBA component of the degree. DeVry is a for-profit university known for its online programming. It was founded in 1931, and started calling itself DeVry University in 2002. DeVry serves approximately 27,000 students through a number of regional campuses (approximately 55 locations across 18 states) and the web. It has partnered with the NFL and MLB, and worked closely with Democratic lobbyist Heather Podesta, a longtime Clinton ally to make sure it continues growing unabated by crackdowns on for-profit, online schools. DeVry offers Associate’s, Bachelor’s, Master’s and Graduate Certificates through colleges of Business & Management, Graduate Management, Engineering & Information Sciences, Health Sciences, and Arts & Sciences (which covers Education, Technology and more). DeVry offers an online MBA with a concentration in Project Management. Classes for this program start every eight weeks. The program allows students to tailor their courses to their own interests within PM. Courses in the concentration include Managing Quality, Advanced Program Management, Project Cost and Schedule Control, Contract and Procurement Management, and more. The program culminates with a Capstone project. This program also features a “TechPath,” which will give students experiential and technical skills that are highly demanded in modern project management. Norwich University is a private university operating from Northfields, Vermont. It was founded in 1819, and is the oldest private military college in America. Norwich offers 29 majors through six academic divisions. 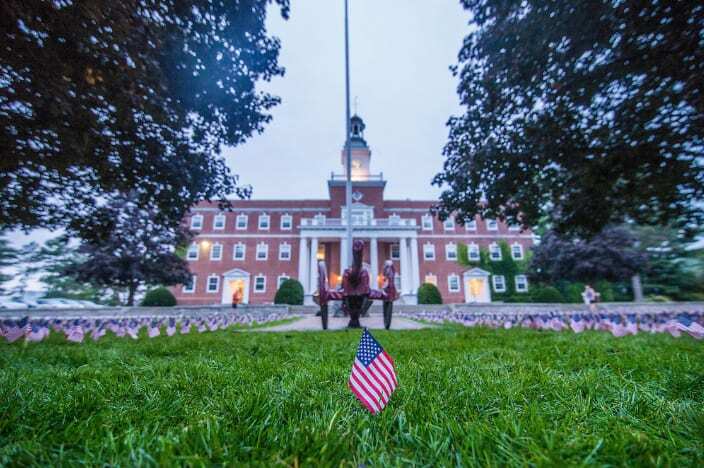 It’s been called the ”Birthplace of ROTC.” Over 4,200 students attend Norwich, which has a 14:1 student-to-faculty ratio. Norwich has a significant online wing, and graduates students worldwide in Bachelor’s, Master’s, and certificate programs. Its motto is “I Will Try.” In a 2014 survey of alumni, 93% recommended Norwich’s online wing. Norwich offers a mostly online MBA. It requires 36 credits. Students take 6 credit courses (11 weeks per course). The program ends with a required one-week residency and a graduation ceremony at Norwich University. There are four program start dates per year: March, June, September, and December. Students may choose a concentration in project management, construction management, energy management, finance, organizational leadership, or supply chain management and logistics. Following core MBA courses, students will move on to their concentration for 18 credit hours. PM classes include Project Management Techniques, Tools and Practices, Project Management Leadership, Communications, and Teams, and Strategic Management in Project Management. Lewis is a Roman Catholic university. It’s located in Illinois, and established in 1932. Lewis serves over 6,500 students with a 13:1 student-to-faculty ratio. The school totes 80 undergraduate majors and 22 graduate programs. Lewis began as an men’s only, aviation technology school, but quickly grew into co-ed school known for its science and technology programming. In the past two years, it’s become one of the best ranked colleges in the midwest region by The Princeton Review and U.S. News and World Report. U.S. News and World Report ranked Lewis among its best Midwest master’s-level universities, most recently placing 58 out of a total of 144 institutions. The Princeton Review called Lewis one of the “Best Midwestern Colleges,” with Lewis making a premier list of 23 Illinois colleges and 158 Midwest institutions. Lewis offers an entirely online MBA program. The program comes with a Project Management concentration (along with 12 other concentration options, which is far more than average). Sample Project Management courses include Principles of Six Sigma, Strategic Outsourcing, and 6 credits of Project Management. This program was designed to allow students to keep family and professional obligations. The program is delivered through five 8-week sessions per year (2 sessions in the fall semester, 2 sessions in the spring semester and 1 session in the summer). Classes meet once a week from 6-10 PM. This program also offers rolling admissions. If you haven’t completed your undergraduate education, Lewis also offers an MBA fast track option to prepare students for this program. Capella is a private university known for its online programming. It’s based out of Minneapolis, Minnesota. It was established in 1993. 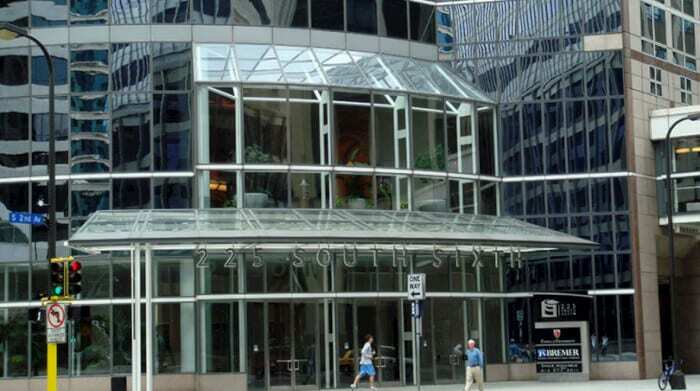 In 2000 Capella began offering Bachelor degree programs, and in 2006 it became a publicly traded company. Capella now offers 142 graduate and undergraduate specializations, 25 certificate programs and over 1600 online courses. Capella has over 37,000 students (22:1 student-to-faculty ratio) that come from all 50 states and dozens of foreign countries. The school’s faculty is made up of nearly 1,500 professors, 86 percent of which hold doctoral degrees in the fields they teach in. Capella University’s business programs have been accredited by the Accreditation Council for Business Schools and Programs since 2014. It offers open admissions to any student who passes a Capella-approved exam, expanding access to its degrees for students without traditional educational backgrounds. Capella offers an online MBA with a Project Management specialization. It requires 7 core MBA courses, and 3 in project management. Project Management courses include Project Risk Assessment and Control, Project Budgeting, Procurement and Quality, and Project Management Foundations. The program culminates in an MBA Capstone Experience. 45 total credits are required to graduate. This program offers what they call “FlexPath,” which allows students to complete assessments on their own timetable to earn credit. Students can also take as many of the courses per quarter (each one is 3 months) as they want while still paying the same tuition. Up to 12 credits can be transferred into this program. The program focuses on building students leadership skills, their ePortfolios and their data storytelling abilities. 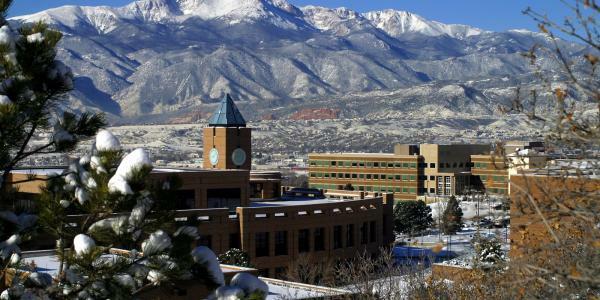 UCCS is part of the University of Colorado system, based in Colorado Springs. It was founded in 1965. There are currently over 12,500 students at UCCS, which has a 17:1 student-to-faculty ratio. UCCS conveys undergraduate, graduate and doctoral degrees through colleges of Letters, Arts, and Sciences, Nursing & Health Sciences, Education, Public Affairs, Engineering and Applied Sciences, and Business and Administration. The school has partnerships with Intel, Boeing, Agilent, Northrop Grumman, Lockheed Martin national laboratory Sandia National Laboratories), and the U.S. military. USNR ranks Colorado Springs 35th in its region. UCCS offers a Distance MBA program with a Project Management concentration. Students may take the program entirely online, on campus, or in a hybrid deliver format which splits the difference between the two. The program is committed to saturating students with the concepts, analytical tools, and communication skills required for mature, effective management. Students are expected to complete the degree in 5 years, but have flexibility on course load (typical course load is 3-6 hours for a working graduate student and 9-12 hours for full-time students). Students will take 21 semester hours of MBA course courses, 3 semester hours of an MBA global perspective elective and 12 semester hours of Project Management electives. Project Management courses include Virtual Team Skills for Project Management and Project Estimation and Risk Management. 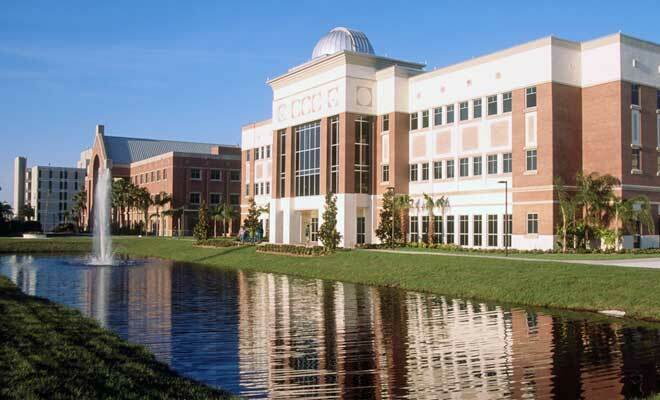 Florida Institute of Technology is a private, doctoral, research university based out of Melbourne, Florida. It was established in 1958. FIT is frequently recognized for its large online presence. It has six academic umbrellas including science, technology, engineering, mathematics (STEM), and aviation. Its online wing serves 2,774 students and offers a 17:1 student-to-faculty ratio. U.S. News & World Report has designated Florida Tech a tier-one national university and ranked it second among private national universities in Florida. PayScale, Bloomberg and Barron’s have all spoken to FIT’s incredible value. PayScale ranked it first in Florida and 53rd in the U.S. in ROI. In 2012, Bloomberg rated Florida Tech as the best Florida college in ROI. Finally, Barron’s called Florida Tech a “best buy” in college education. Pascale said graduates could expect a 20 year net-return of over $600,000. FIT offers an MBA in Project Management online. It can be completed in two years or less. The program requires 36 total credits. Students begin with courses in Managerial Economics, Accounting, Financial Management and other directed electives in the MBA core courses. Then in the Project Management Specialization students take courses like Strategic Project Management, Project Tools and Techniques, Cases in Applied Project Management and Mastering Project Management. The program culminates in a Strategic Management Capstone. Students will also be prepared to take the Project Management Professional® (PMP) certification examination, adding to their value in the world of project management. George Mason University is the largest public research university in the state of Virginia. It was founded in 1949, and has four locations in Virginia and one in South Korea. It also has a booming online presence. GMU serves more than 34,900 students, currently offering a 16:1 student to faculty ratio. Mason is known for its business, economics, law, creative writing and computer science programs, which have all been recognized as top research programs by the Carnegie Classification of Institutions of Higher Education. It has frequently been highly ranked both nationally and globally by the Academic Ranking of World Universities, Forbes, and USNR. 11% of its graduate students take distance learning programs. 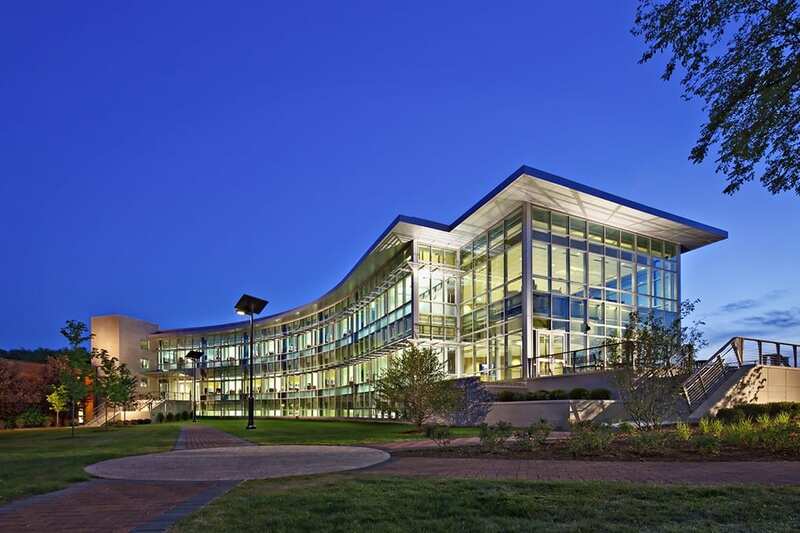 GMU offers a MBA degree that can be completed entirely online. It requires 48 total credits. It tackles communication, leadership, analytics, decision making, current business climate/challenges, and much more. Project Management is an elective in this program, among others including Financial Markets, Investment Analysis, Leadership, Negotiations and more. This program comes with a Global Residency option, which is an optional, in-person one week residency abroad, enhancing the program with practical, real-world experience. A graduate certificate in Business Analytics can also be built into this program to further expand graduate credentials. What is a Bachelor’s in Project Management Degree?What is a Master’s in Project Management Degree?